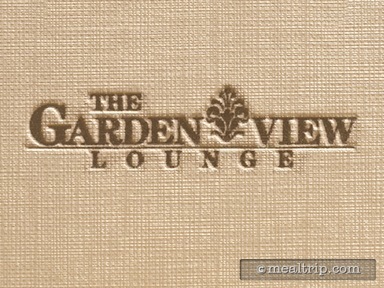 Afternoon Tea at the Garden View Tea Room is a fairly regular (usually daily but with varying time periods) “special event” of sorts, that let’s you experience a traditional afternoon tea, served in a British style. Many loose leaf teas are available on the menu including a “Mrs. Potts Tea” that may be more palatable for children. Food items include an array of finger sandwiches, scones, pastries and other light delicacies.